Now there is the possibility to move the model and to modify! The new model with the high flexibility you’ll find left in the model selection. The existing models are still static. 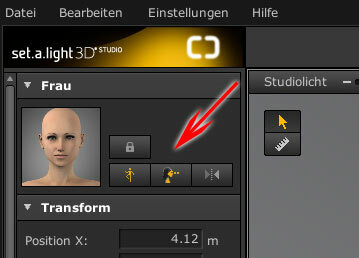 After placing in the studio, then automatically opens the new poses controller with which the model can be moved. The controller can be moved freely, so that he never bothers. If you close the controller, it can be open by clicking on the Button with the Motion icon (1.) above these again at any time. As long as the model is selected in the setlist, the controller can also be opened with the “P” key. On the model itself is also a Button that opened the controller. 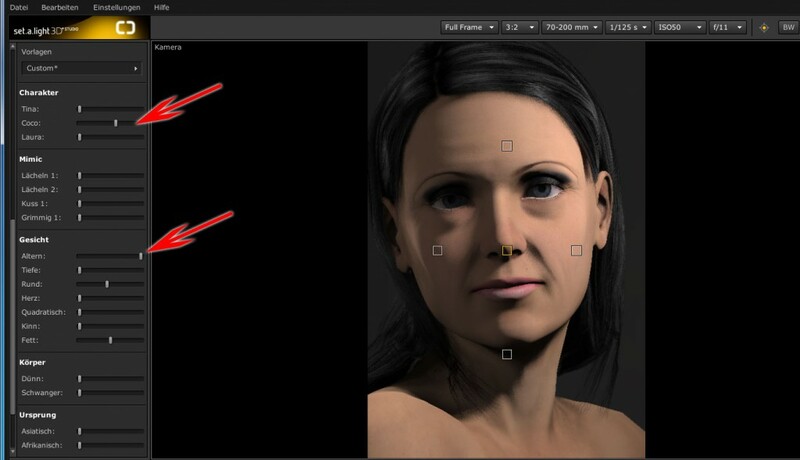 The model can be moved with the posing slider (3). By clicking on the play button, the model starts automatically with the posing (4). In the detail settings (left) the model can be customized extensively. You can replace E.g. the hair and also change their color. The clothes can be changed in the area below, you can also remove the clothes by using the drop-down menu. More clothing comes in the next few months via update. The appearance, facial expression, body etc. can be changed by using the slider. Now you have the possibility to let the model aging artificially. Below you have the possibility to store the character as a template (hair and clothes are not saved). The stored templates can be called up again in this area via the drop-down menu. So you can access anytime soon on your own character. 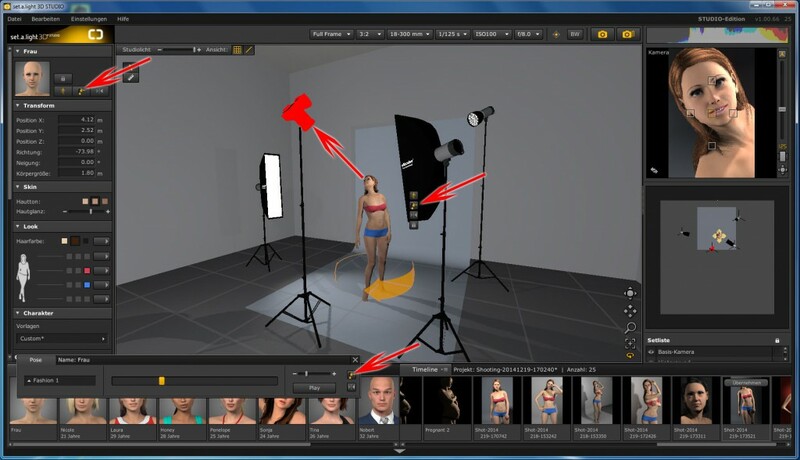 Click on one of the highlighted button, the model looks towards to the camera. If you move the camera so the model will turn his head and still look to the camera. In conjunction with the flexible poses, this results in a large number of design possibilities. The model can be lock so that it can be not accidentally moved in the Studio. This option is also in the set list (bottom right) available. The hex value can be entered in the color pickers.